Is sleep training supported by science? Can you eat sushi when you’re pregnant? For a generation of parents who grew up on Google, clear answers to simple parenting questions aren’t always easy to find. 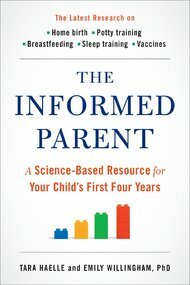 In the new book “The Informed Parent: A Science-Based Resource for Your Child’s First Four Years,” co-authors Tara Haelle and Emily Willingham, both science journalists, try to help. After sifting through the numerous studies on pregnancy, sleep, feeding and other parenting topics, they offer science-based advice and teach parents how to weigh the evidence and make an informed decision. Recently, I spoke with both authors about the surprises and frustrations they encountered as they weighed the research on childhood health. Here’s an edited excerpt of our conversation. Q. What was the most surprising thing you found during your research? A. Emily Willingham: A lot of studies point to the father as having a deeper level of sleep deprivation. This is U.S.-specific, and the reason for it, it’s thought, is that not only are they wakened throughout the night, but also they get up and they go to work the next day. Even when family leave is offered to men, studies indicate that a lot of them don’t take advantage of it. One of the upshots of that is that men have a steep level of sleep deprivation, while women who can stay at home with the infant can sleep when the baby sleeps and get slightly more sleep during the day. That was a surprise to me. Of course, that’s an average, and it’s based on this one kind of experience, where a mother is on maternity leave and a father is back at work. It’s not a reflection of individual experience, and there aren’t a lot of studies on different family models, where the mother is back at work right away. 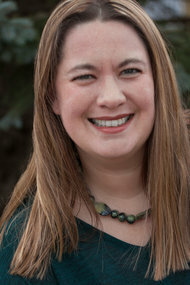 Tara Haelle: The surprise for me was in the section on alcohol and pregnancy. I went into it with the belief that the research showed that a glass of wine or so once a week was no big deal and probably wasn’t going to have a big effect, especially after the first trimester. If you look at the epidemiological studies, then that’s true. You’re not going to find studies that show a clearly reduced IQ point or lower behavioral scores where the parent had exactly one glass of wine a week. But knowing now what alcohol does in the body, where it goes and what barriers are and are not there and how it influences the body at the cellular level, I think women need to know that even small amounts of alcohol might have more of an effect than they might have realized or been led to believe. What topics are most confusing for expectant parents? 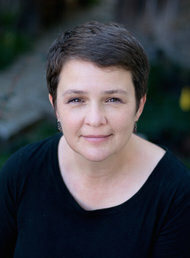 Emily Willingham: One of the most confusing things is that screening tests, like cell-free DNA sampling, are mistaken for being diagnostic when they’re not. The vast majority of tests that women will take during pregnancy are screening for a likelihood or a probability. They will give you a number — you have this level of risk of carrying a fetus with a certain condition. The next step is to pursue diagnostic testing. The screening is not definitive, but a lot of people feel a ton of anxiety over whether to do the screening, how to interpret the screening, what to do next. We found a study that evaluated the results in 1,471 cell-free DNA samples, and found three false positives for Down syndrome. There are also false positives, and results that can’t be used — and unusable results are more common in pregnancies where there are chromosomal abnormalities. It’s really important to go on to the next step, amniocentesis or chorionic villus sampling. Is there any new advice for parents in the delivery room? Tara Haelle: There’s much stronger evidence today that delaying cord clamping by 30 seconds to two minutes increases the iron stores in your newborn. Especially if the baby is going to be exclusively breast-fed, that will potentially help keep the iron stores higher throughout breast-feeding and you may not need to supplement with iron because of that. Those extra seconds just get more cord blood into the baby. Is the research on sleep training supported by science? Emily Willingham: There have been several randomized controlled trials showing that it’s effective in the short term. And there had been some work done that’s longer term, in children up to about the age of 5, and they don’t find any differences in a whole laundry list of things between children who were sleep trained and children who weren’t. Level of stress, parent mental health, parent-child relationships, level of attachment, sleep problems— there were no significant differences in any of those areas. Doctors warn about the risks of bacteria and parasites in raw fish. Can you eat sushi while you’re pregnant? Tara Haelle: I’m not going to say you can or you can’t. I can say that restaurants serving sushi in the United States are supposed to be following the Food and Drug Administration regulation that most fish is flash-frozen right away. That should make it safer to eat — it should kill the majority of concerns. That said, you don’t know what happens after they defrost it, and you are trusting that the restaurant is following the regulations, which can be complicated and can vary. Tuna and shellfish, for example, might not have to be frozen under some circumstances, and farm-raised fish might be exempt. Emily Willingham: Lots of different rolls involve cooked fish. Those are good, too. Were there things you wanted to research thoroughly that were frustrating, because the answers weren’t there? Tara Haelle: I get frustrated with the research on co-sleeping. I see a lot of dogmatism that promotes one side or the other, and it’s a lot more complicated than that. I think a lot of people want that to be a really simple answer, and it’s not. And one area where I was surprised not to find a lot was baby-wearing and soothing babies. You hear a lot from a certain subgroup saying that ‘oh, well, it’s much better for your baby to be worn and you develop better bonding and you can be closer with skin-to-skin contact.’ And then there’s another side that says, no, kids can’t be independent and explore if you’re wearing them all the time. And yet when I went into the literature there’s almost nothing. Neither side has a leg to stand on. You want to wear your kid, wear your kid. If you don’t, don’t.